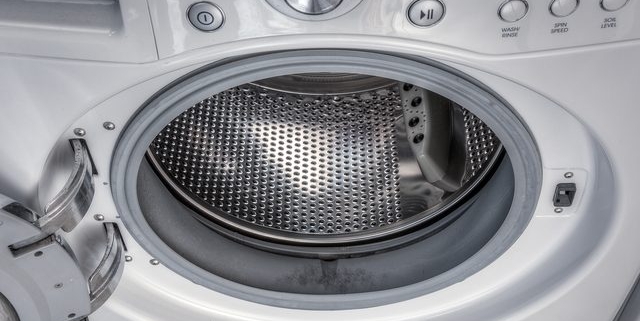 Your washer uses a lot of water to keep your linens and clothes clean, but some of that water can lead to the spread of mold and some truly unpleasant smells. To keep mold out of your washer, you need to make sure all the water drains or dries properly after each load. Follow these simple steps to keep your washer dry and mold-free. Every once in a while, it’s a good idea to run a hot wash cycle without any laundry. The hot water will kill any germs or residue hanging out in your front-load washer. Many modern units also come with a cleaning cycle that makes it easy to maintain your appliance. Run one of these cycles every month or so to prevent the spread of mold. The water in your washer won’t dry if you seal off the airflow. Get in the habit of keeping your washer door ajar, so the water can dry naturally. If that’s not enough, keep a small fan nearby to move the air around. If you notice a large buildup of water in your washer, it’s a sign your drainage system isn’t working properly, and you’ll need to get it fixed. In the meantime, you can grab a piece of paper towel or a dry rag to soak up the leftover water. It’s tempting to let your wet clothes sit around in the washer for a while after the cycle is complete. Maybe you left to go to the gym or run a few errands. But leaving your damp clothes in the washer can accelerate the growth of mold. Set a timer and try to remove your wet clothes as soon as possible. Powder detergents can clump together, leaving soapy residue in your washing machine. Switch to liquid detergent to make sure the soap dissolves properly in the wash. You should also try to use less than the recommended amount. Too much soap and you’ll start to notice a build up of residue in the drum. Be stingy with your detergent and your clothes will thank you. You never know when a stray damp sock may be hiding on the roof of the drum. Make sure you rotate the drum after every cycle to let the water drain and keep an eye out for any stray pieces of clothing. If you leave a wet item in the wash, mold can start to develop after a few days. Preventing the spread of mold in your washer is fairly simple if you get into the right routine. 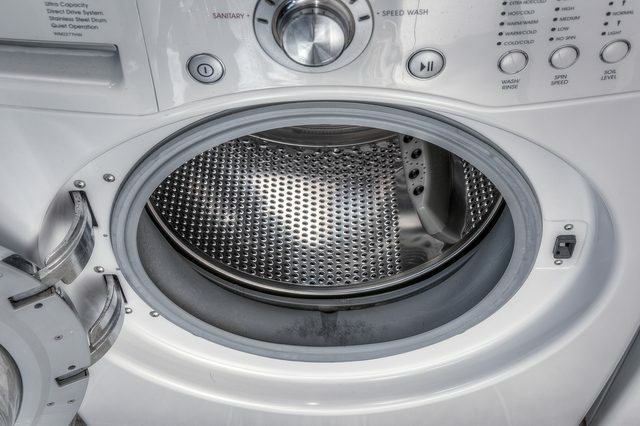 If you notice large pools of water or you’re having trouble removing the stench of mold from your washer, call the professionals at Absolute Appliance Repair for washer repair in San Francisco.